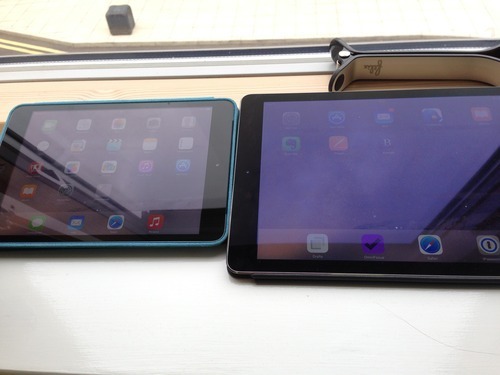 iPad Air 2 vs mini 2 anti-reflective coating test. 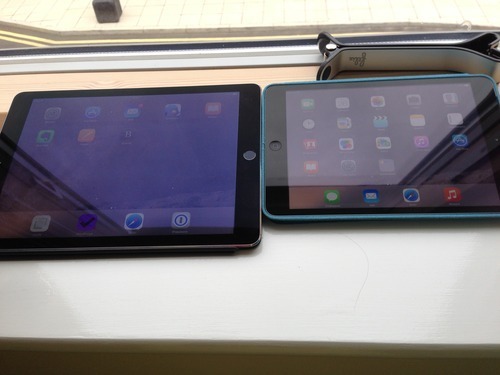 Here is two iPads with maximum brightness near the window at bright morning. We can see that reflections problem is not solved yet but Air 2 looks better.